Both men and women compete in foil, in separate events. The weapon used is a maximum of 500 grams, with a maximum length of 110cm. A micro switch in the tip needs at least 500 gr pressure to activate the registering apparatus. The valid target area is the torso only, excluding arms, legs and head. The valid target area on the fencer is covered by a metallic jacket, which causes a colored lamp to light up when the target area is hit by the opponent’s weapon. A hit on the non-valid area (not covered by the metallic jacket) causes a white lamp to light up. 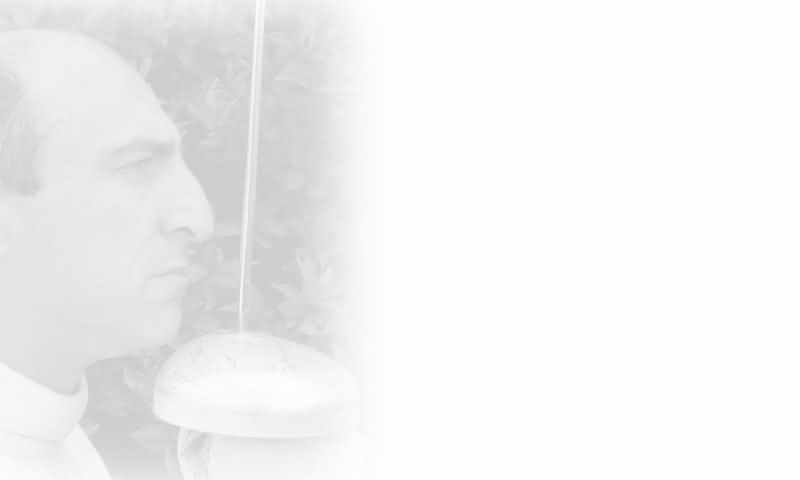 The combat phrasing in foil fencing, is derived from the historical development of the weapon. The combat training emphasized the need to hit and wound the opponent, without self being touched. Therefore the basic modern rule, is that an attack has to be deflected (parried) before a counter-offensive may be started. 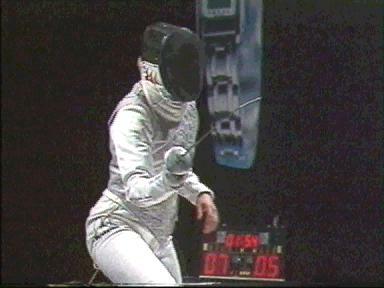 Priority of action (right of way or advantage) therefore passes from one fencer to the other as the phrasing is developed, and followed by the referee. The referee stops the action when the registering apparatus records a hit. Then, based on the indications on the apparatus and his or her analyses of the phrasing and advantage, the referee awards a hit (or not), and restarts the action.